These are detailed but fast-play, D100-based rules for individual soldiers in close combat. 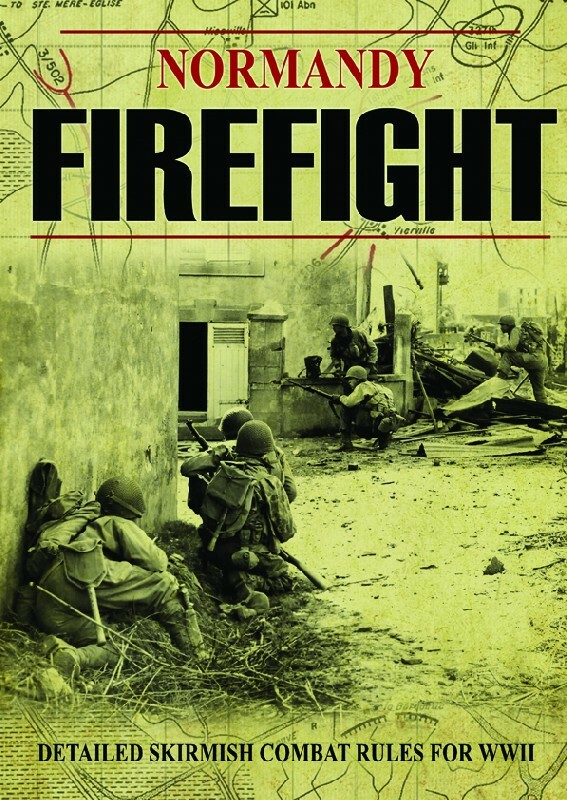 The game pits three to five characters against three to five enemy in a close quarters firefight with small arms and grenades. Games with up to ten characters generally lasting between one and two hours. The game has been designed with 54mm figures in mind, includes conversion tables for using 28mm figures. This book includes four game missions: Lead Scouts, Sniper Hunt, Clear and Secure and Clash of Patrols, plus an optional additional mission: Tank Hunters. There is an extended example of play, ‘Skirmish near Pont Herbert’ to clearly demonstrate how the game runs. There are also; additional rules and data for extra small arms for the major nations of WWII, conversion rules for playing at 28mm and 20mm scales as well as the standard 54mm, fast character creation rules and how to include a single tank.